Here it is! The three bedroom colonial on a side road with gorgeous details you have been looking for! This home is nicely set back from the street with a large lot, stone wall and detached one car garage. There are beautiful hardwood floors and mouldings throughout, built ins and picture windows giving it that classic charm. Meticulously cared for with newer full house insulation, as well as roof, heating system and hot water all 10 years old or less. Enjoy central air and low utility bills with the leased solar panels. Retro kitchen in perfect condition. 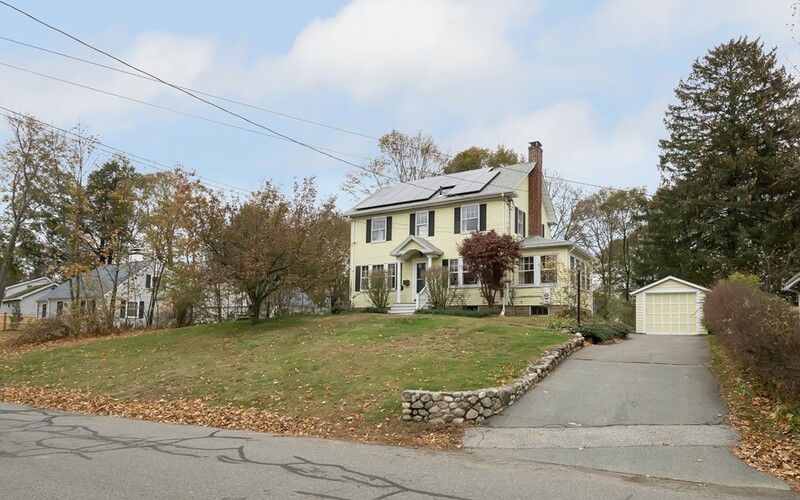 Located near EVERYTHING, train station, shopping, schools and route 128. Showings start Saturday November 18 11-12:30 and Sunday 1:30-3.